How Do I Prevent Blow-By in a Conducted Throughput Measurement? In an engineering laboratory, certain Radio Frequency (RF) measurements such as data throughput (radio sensitivity) is commonly made by direct connection via coaxial cable with an adjustable attenuator in line. This enables the technician to simulate a range in free space for the purpose of measuring or validating sensitivity. Attenuation between the radios would be increased (increasing simulated free space range) until receive quality (i.e. Bit Error Rate) is degraded or completely lost, depending on the test. The technician should first test the radios with an infinite attenuation. Some radios are sensitive enough to communicate when they are placed in the same lab, with their respective antenna jacks terminated. In this case there is enough transmit (Tx) signal being radiated by the chassis, other connectors, or power cables for the receiver to sense through its respective chassis, connectors, or cables. This is referred to as Blow-By. 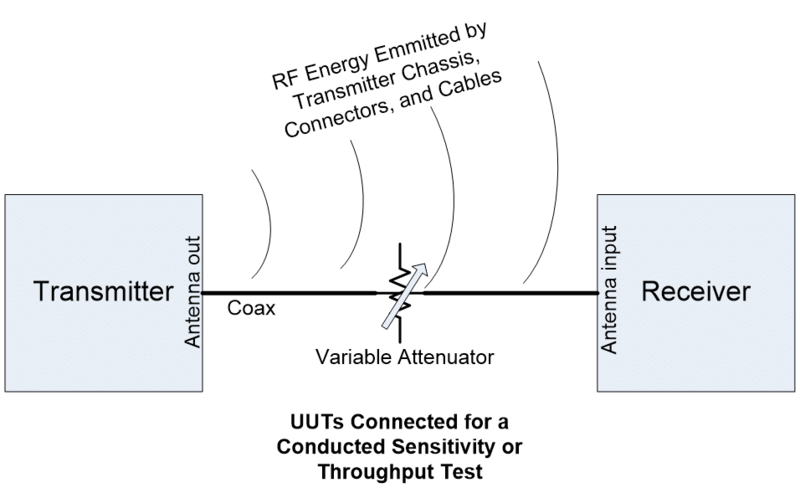 In this scenario, the radio’s sensitivity cannot be accurately measured if part of the signal is bypassing the attenuator. How can this problem be prevented? 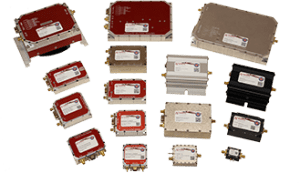 One approach is to isolate the radios with a Faraday Cage, which is a large grounded shield to enclose a device and block its radiated signals. With at least one of the radios shielded by a cage, the infinite attenuation test should be performed to confirm that Blow-By has been blocked. 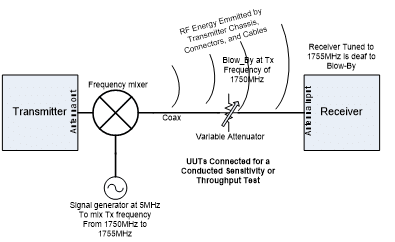 If no throughput exists, then the sensitivity test can be performed with knowledge that the attenuator values used represent the total amount of signal being seen by the receiver. Without a cage to isolate the units under test (UUT), there is another method to eliminate Blow-By. 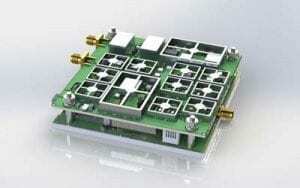 This involves incorporating a frequency shift to the transmitted signal. A frequency mixer and signal generator can be used to shift the frequency of the RF transmitter output to a different channel in the receive band. The receiver is also tuned to this alternate channel, not the original transmit frequency. 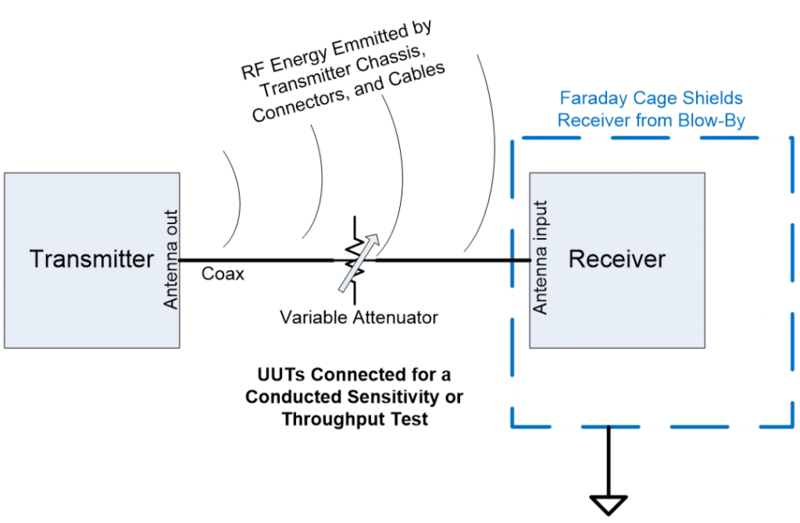 With this change the receiver will not sense any RF radiated by the transmitter as the receiver is tuned to a different frequency – only the RF through the cable which has undergone a frequency conversion. Mixer frequency range and signal generator level should be carefully selected to avoid distorting the signal in any way. Once these are determined, the only other consideration is measuring the gain of the mixer to add to the measurement offset for the coaxial cables. As with the cage method, the test cable loss and attenuator setting will be representative of how much loss there is between the radios. 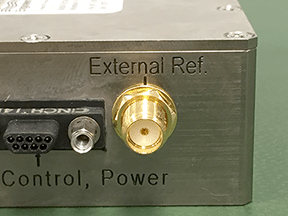 As we’ve shown, Blow-By is a common issue in the lab, but one that can be fairly easily overcome to facilitate accurate receiver sensitivity and data throughput measurements.